Small, low-wealth, rural school district located in eastern North Carolina. 14 schools in the district: 5 elementary, 4 middle, 1 combined elementary and middle, 3 high, 1 early college. Student demographics: 58% African American, 31% White, 9% Hispanic. Approximately three out of every four students qualify for free or reduced-priced lunch. One of the highest dropout rates in the state. Three of the lowest performing elementary schools in the state. Families and community members in the county lacked confidence in the school district. Edgecombe County made a district-wide commitment to evidence-based global education approaches in order to achieve the district’s mission to graduate all students ready to achieve success in a rapidly changing world. The district launched a new globally themed K-8 school, Martin Millennium Academy, to signal its commitment to global education. 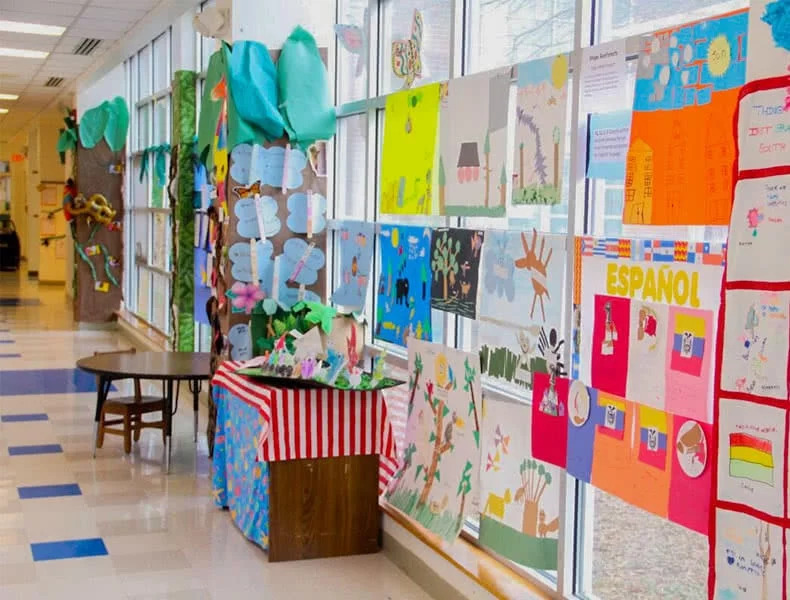 The school offers dual language immersion in Spanish, international exchange teachers in every grade level and integration of global themes and project-based inquiry approaches in every classroom. The district established an expectation for all teachers to be global educators. Every teacher in Edgecombe County participates in online professional development to increase levels of global competence and skill in incorporating global concepts into daily instruction. Are more open to experimenting and taking risks with new instructional content, strategies and/or technologies (78%). Better understand the value of global investigations as a means to develop interdisciplinary content expertise (77%). Are more sensitive to the cultures represented by students in their schools (78%). Want to know more about our dual language and global education offerings? Contact us — we’d love to hear from you!